Black Ops™ is an elite weight management system developed by the multi award winning R&D team at Grenade® and has a unique stimulatory effect, designed to enhance mental and physical performance. Grenade Black OPS Key Benefits? Predominantly aimed at male users, Black Ops™ has a shorter duration of action than the original Grenade® Thermo Detonator making it ideal for focused HIIT (High Intensity Interval Training) sessions and for training later in the afternoon or early evening. 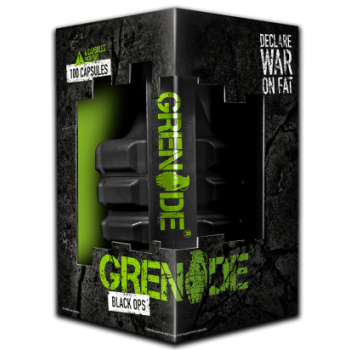 Developed in conjunction with elite US Special Ops Forces, Grenade® Black Ops™ delivers a precise, controlled level of stimulant effect. 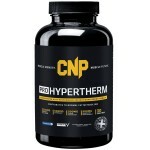 This research-supported product is perfect for delivering targeted, moderate-duration bursts of energy and thermogenesis, without causing prolonged, jittery side effects, which can occur with many fat burners and pre-workout products. 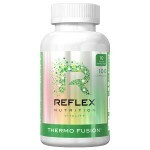 Why feel tense, nervous and short tempered for hours after you take your fat-burner product? 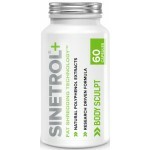 Why not take a precisely-dosed product that delivers the energizing and fat-mobilizing effects without the side effects and the big crash at the end? Well, now with Black Ops™ you can have the desired effects you’re after, without the downsides. When you try to solve a complex problem like getting rid of unsightly body fat, you can’t just come at it from just one angle. The body constantly adapts to changes in one or two metabolic pathways. So you have to consider all of the angles. That’s what the Grenade® Research Team has done with Black Ops™. 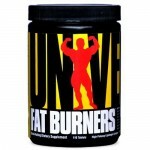 The first thing you have to do when designing a world-beating fat burner is to mobilize fat from fat cells. This is affected by caffeine – a must-have ingredient in any such product. Then, to ensure that the fat gets eliminated (and not just stored back in fat cells), you have to increase the metabolic rate and increase fat oxidation. This is achieved by green tea, which has been shown in clinical studies to help dieters shed inches and increase their resting metabolisms... then Cayenne kicks in, to assist green tea in ensuring maximum oxidation! Next, there are two other conditions, without which, you simply won’t burn maximum fat - you need to influence the right hormones and chemical messengers. This is where Blue green algae and Cocoa Extract come in. Blue green algae contains essential fatty acids and Phenylephrine. 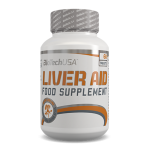 Essential fatty acids are associated with decreased body fat mass and phenylephrine is known to stimulate the body’s primary fat-burning hormone called norepinephrine. So now you have the body’s primary signalling molecules – hormones - on your side. Finally, the icing on the cake is Cocoa Extract’s effect on nitric oxide. Most of us know nitric oxide as a vasodilator and pre-workout booster but it has been shown to be intimately involved in fat metabolism and in fact if it is blocked, the use of fat for energy virtually comes to a halt in the body. Not even satisfied with this five-pronged attack, Grenade® Researchers have also added several micronutrients which have been evaluated to be substantially involved in fat-loss metabolism and the improvement of insulin function - crucial for properly handling dietary carbs! So while most fat-loss products are satisfied to influence one or two weight loss pathways in the body, Grenade® Black Ops™ attacks virtually all of them! How To Use Grenade Black OPS? CAN YOU USE BLACK OPS™ ALONGSIDE GRENADE® THERMO DETONATOR? 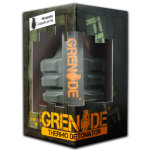 Yes, we recommend taking Grenade® Thermo Detonator throughout the day and Black Ops™ pre-work. Ensure there is at least a 3 hour gap between consuming both products and neither are consumed less than 5 hours before bed. CAN I TAKE BLACK OPS™ WITH WHEY PROTEIN AND HYDRA 6™? Yes, there is no problem taking Black Ops™ in combination with whey protein. 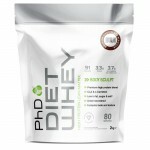 Whey protein is essentially just a carefully processed, high-protein food and often essential with any training regime. WHAT KIND OF EXERCISE SHOULD I BE DOING TO ENSURE BEST RESULTS WHEN USING BLACK OPS™? For fat loss, ideally you want to do 2-3 HIIT workouts per week. HIIT (high-intensity interval training) is like cardio but you do intervals in which you alternate between high intensity (such as running) and low intensity (like a slow jog). The simplest example would be going on a treadmill, warming up for 5 minutes then doing 30 seconds at 18kph followed by 60 seconds at 8kph and doing 10 to 15 intervals. Obviously, you’d have to build up to this kind of intensity gradually but this kind of a workout is the best for burning fat. HIIT has been shown to burn much more in less time than regular, low-intensity, steady cardio. Along with this, doing three to four intense weight training sessions per week obviously improves muscle size and tone and larger muscles allow you to burn more fat throughout the day. 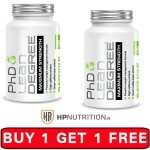 Kris Gethins’ DTP training is an excellent option that cranks up your metabolism substantially and is excellent for burning more fat than a traditional weight training session. Beyond that, you could do slow, steady cardio (walking or biking, etc) on the days that you don’t do HIIT. HOW LONG CAN I USE BLACK OPS™ FOR? There is no cut off point with regard to how long you can use Black Ops™ but you may want to take 2 weeks off the product for every 6 to 8 weeks you’re on it. Once you have achieved your desired weight loss, you may choose to stop using it, or use it during times when you want to get a little leaner (like before summer, a special occasion or before a holiday). Slow and fast digesting proteins combine.. 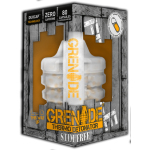 Grenade Thermo Detonator Fat Burner - 10..
Trec Nutrition CLA + Green Tea - 90 Caps..
CLA (Conjugated Linoleic Acid), and s..
Trec Nutrition L-Carnitine + Green Tea -..
USN CLA PURE 1000CLA, or Conjugated Lino..
Trec Nutrition CLA + Green Tea - 180 Cap..
Trec Nutrition L-Carntine 120 Softgel..
Kinetica Lean Active Protein 72 Servings.. 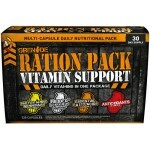 Grenade Killa Ketones - 60 CapsWeight Ma.. Fat Burners 55 TabletsEasy ..
Phd Lean Degree STIMULANT FREE *Weigh..
Trec Nutrition Thermo Fat Burner ..
Biotech USA - Green Coffee - 120 Caps..
Trec Nutrition ClenBurexin 90 Caps..
Phd Lean Degree MAX STRENGTH - 100 Caps..
Trec Nutrition ClenBurexin 180 Cap..
Nutrione Omega 3 1000mgDecreased levels ..
Biotech USA Liver AidWhy Buy Biotech USA.. Grenade THERMO DETONATOR STIM FREE® ..
USN Phedra Cut Lipo XT is the latest bre..
PHEDRA CUT XT HYPER BURNMulti Action Fat..
BSN HYPERSHRED EDGE Fat Burner - 100 Cap..
Trec Nutrition L-Carntine 60 Softgels..
PHEDRA CUT STIM-FREEUSN PHEDRA CUT STIM-..
USN CLA GREEN TEAConjugated Linoleic Aci..
Phd Sinetrol + PhD Sinetrol + acts ..
CNP Pro HyperthermPro HyperTherm is.. 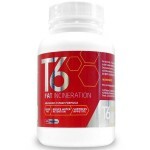 Weight Management System T6 - 60 CapsT6 ..
Ostrovit CLA + Green Tea + L-Carnitine -..
Solgar Milk Thistle Vegetable Capsules-P..
OstroVit Raspberry Ketones 90 tabsOstroV..